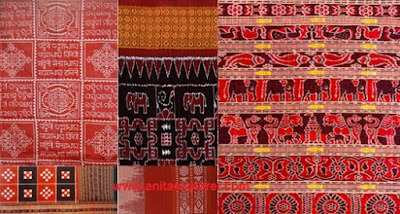 This weaving has been going on in Odisha for several centuries. It has fine, sharp, artistic designs with elaborate and natural figures such as Lion, Tiger, Elephant, Fish, Lotus, Creeper, Conch etc. Before weaving, the design is created on the loom. Its unique design makes this Ikat distinctive and special. 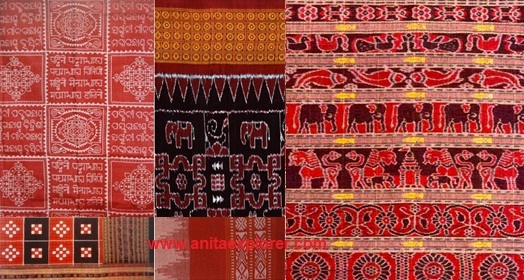 The weavers weave many designs including text in various languages, especially in Odia. Calligraphy is produced on Odisha Ikat which is evident from the "Gita Gobinda" written by poet Jayadeba. 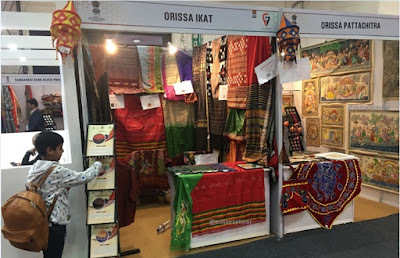 Orissa Ikat has sarees and fabrics named Sambalpuri, Khandua etc. Apart from sarees and dress-materials, the available Orissa Ikat product categories are dupattas, stoles, bed-sheets, napkins, dhotis, lungis etc. Orissa Ikat is the second Geographical Indication (GI) of Odisha, India. 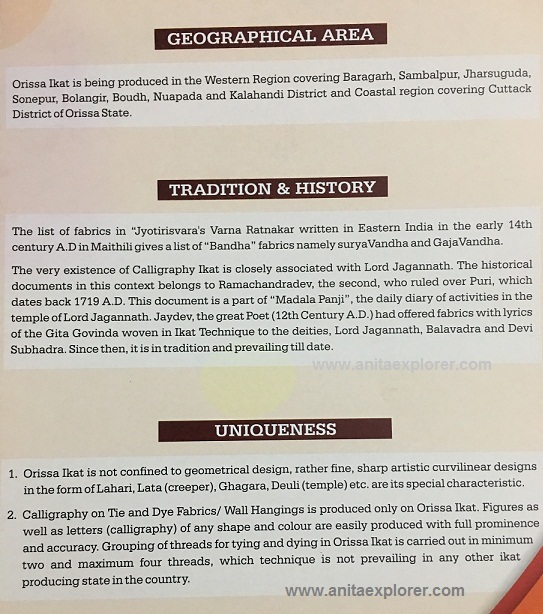 Orissa's new name is Odisha. 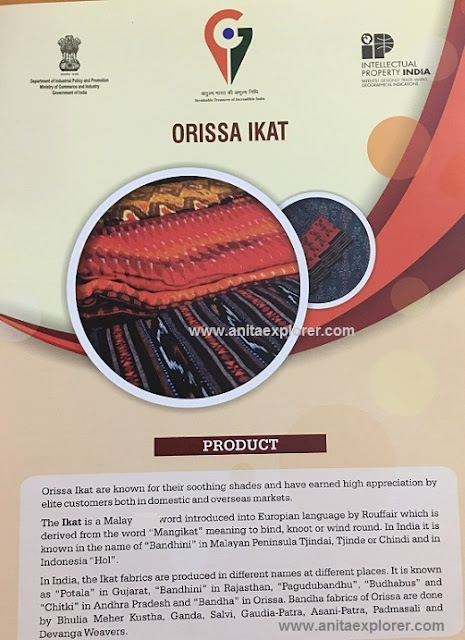 Still this GI continues as "Orissa Ikat." 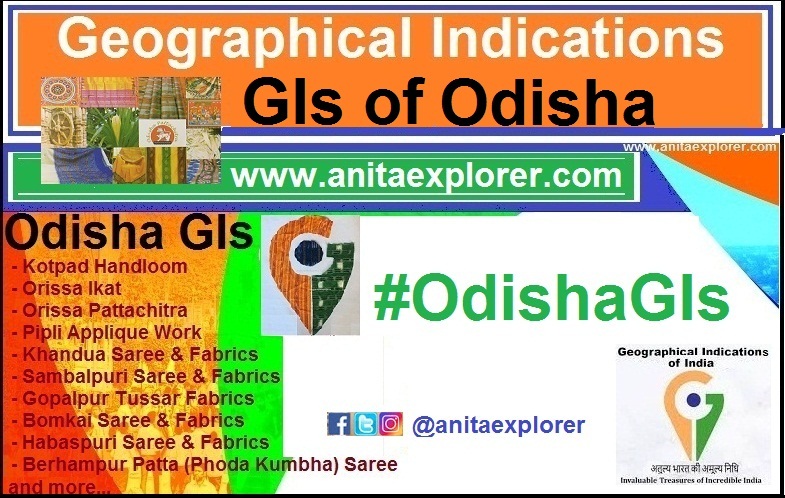 Did you know about Geographical Indications (GI) and Orissa Ikat? Do share in the comments below. 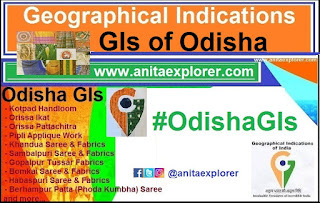 Nice and informative post on fabrics and dress materials from Orissa.